Meizu has announced an upgrade to its Meizu MX phone. 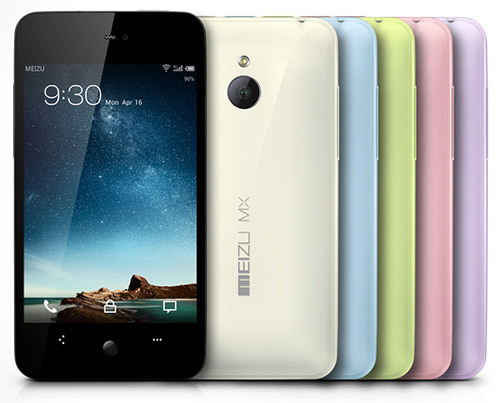 The new Meizu MX slated to hit in June will now feature a quad-core processor. The Meizu MX Quad-core is in fact the world’s first smartphone to use a quad-core Exynos processor, which is produced by Samsung. With the new processor, the phone boasts an improvement in battery life by 20 percent, 60 percent faster processing speed and 50 percent faster GPU. As for other specs, Meizu MX runs its own Flyme OS based on Android 4.0, full HD video playback support, 292 PPI display, 8MP camera and more. MX Quad-core will come in 32GB and 64GB storage capacities carrying a price tag of 3000 yuan (HK$3099) and 3999 yuan (HK$4099) respectively.